Warm up for Winter with Tad Newton’s Sunday Lunchtime Jazz! Top National and International Bazz bands! ADMISSION £10 on the door. Newcastle’s top New Orleans outfit. 21st October: Alvin Roy Jazz Band Legends! 28th October: Dave Harmer’s New Orleans Hotshots. with special guest “Professor” John Percival. 18th November: A surprise in store! 25th November: Ben Cummings/Amy Roberts “Gerry Mulligan/Chet Baker” Band. 2nd December: Another surprise in store! 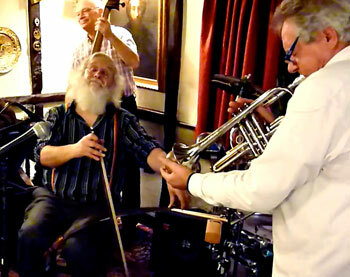 16th December: Hot Club 42 – Gypsy Swing style! 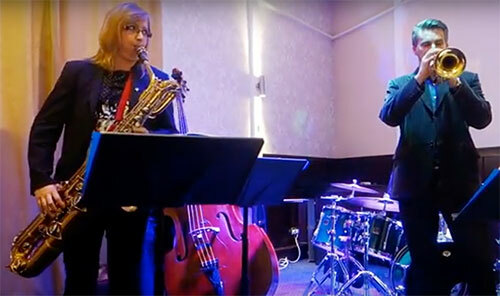 23rd December: Tad Newton’s Jazzfriends… Spectacular Christmas Jazz Party! LIVE JAZZ … USE IT OR LOSE IT! Jazz&Jazz is grateful to Tad Newton for his reciprocal support.